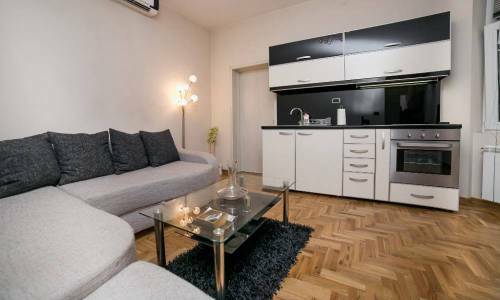 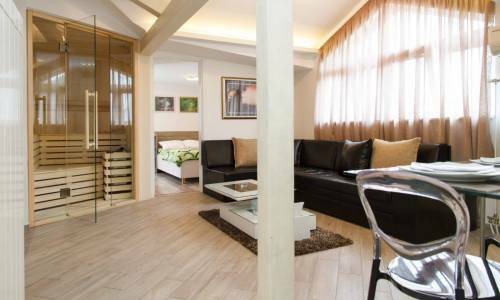 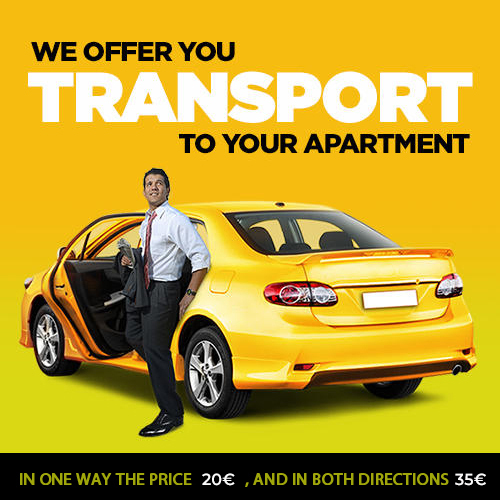 The most urban neighborhood of Belgrade is where our new apartment Urban is located. 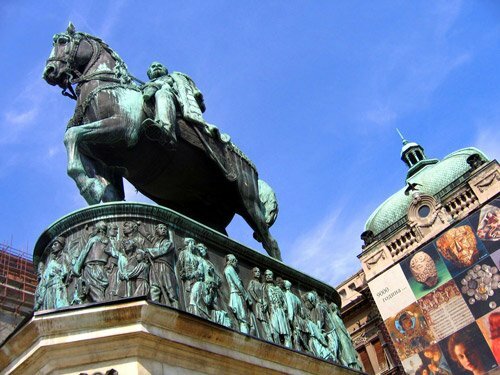 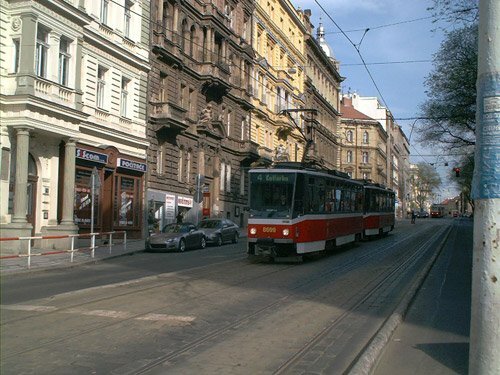 All the characteristics of modern Belgrade have become synonymous with this settlement. 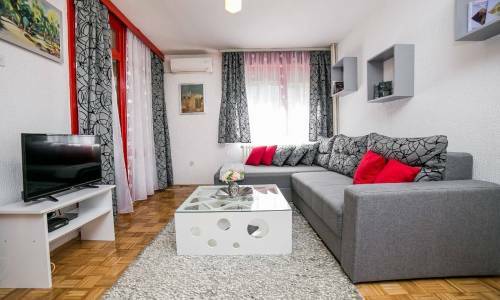 Impeccable cleanliness, tidiness, modern buildings, immediate vicinity to Delta City shopping mall, vicinity of the airport (a 10 minutes’ drive), proximity of the river, a multitude of restaurants, bars, wellness centers, headquarters of numerous companies, various clinics, etc. 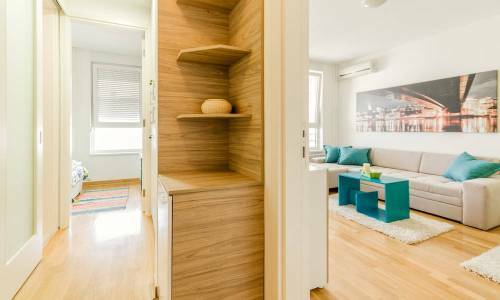 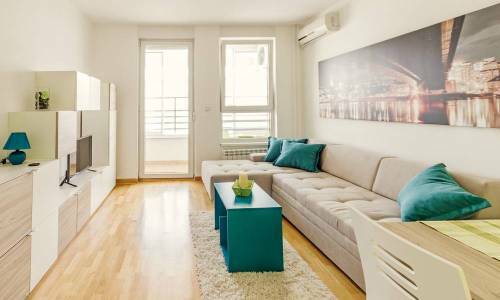 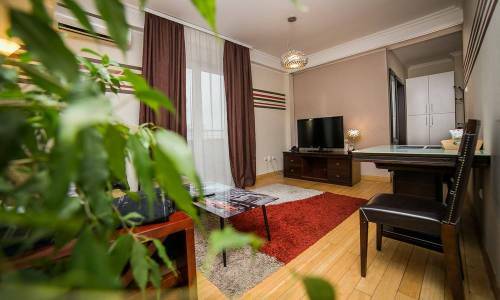 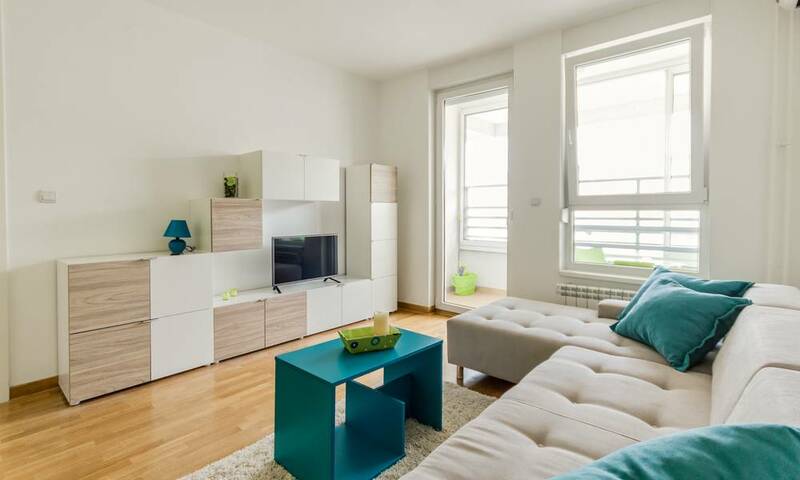 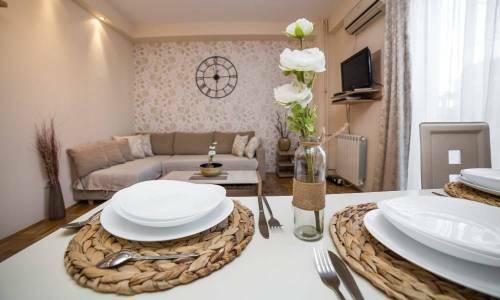 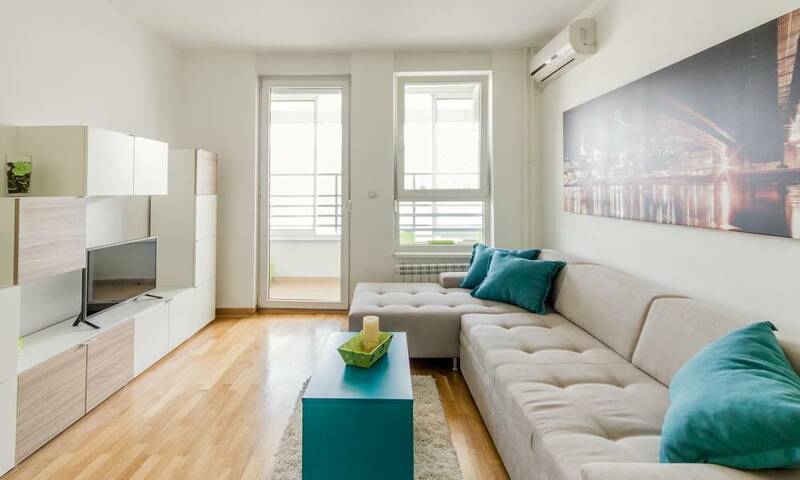 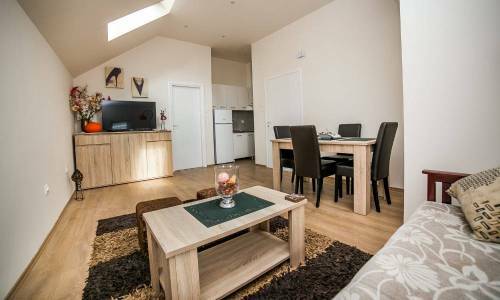 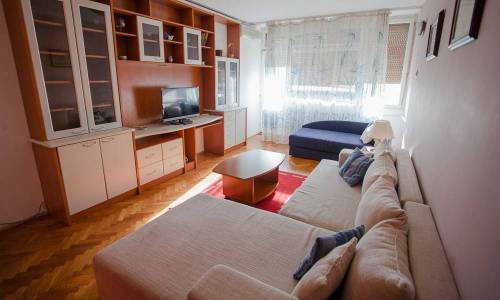 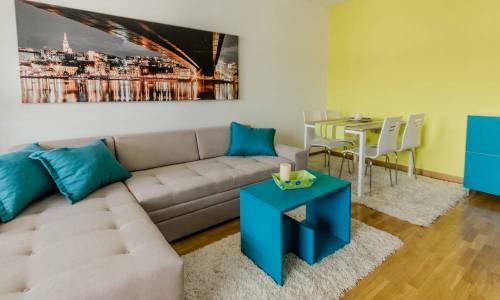 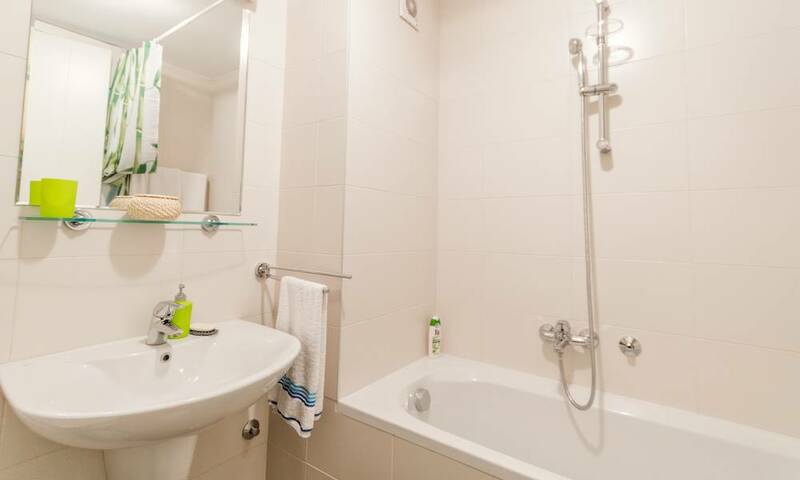 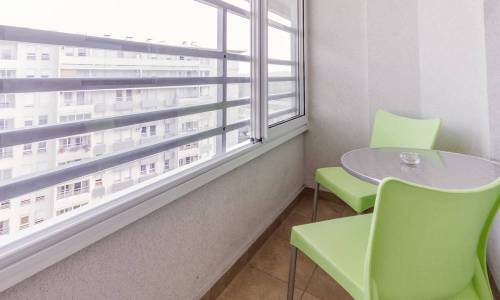 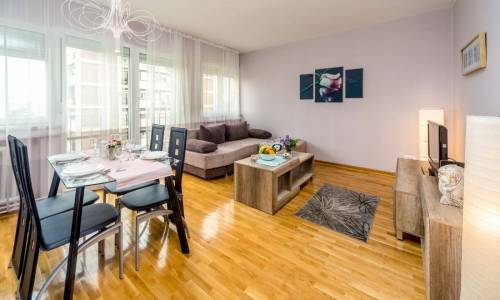 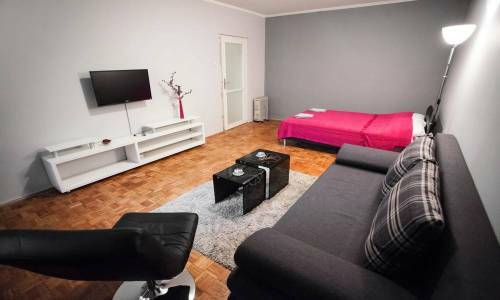 Apartment Urban is a one-bedroom apartment with a floor area of 45 m² (484 ft²), consisting of a spacious living room, a bedroom, a kitchen, a bathroom and a terrace. 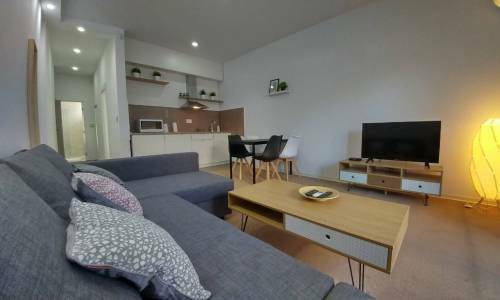 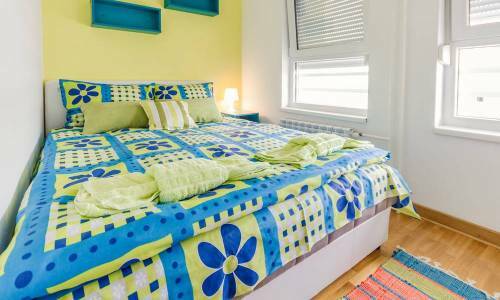 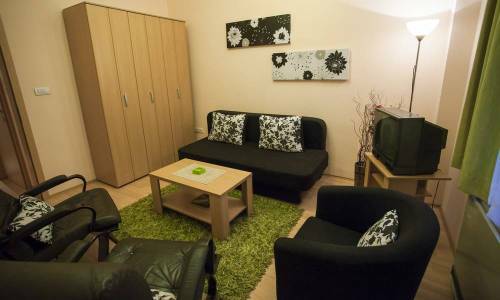 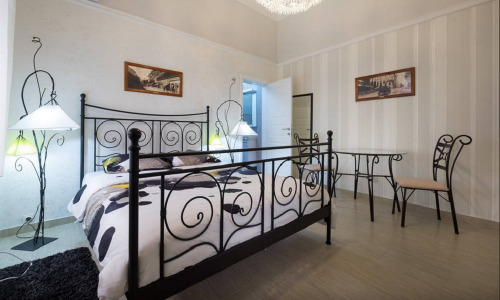 There is a double bed in the bedroom and a foldable furniture in the living room making the apartment comfortable for a stay of up to 4 persons (2+2). 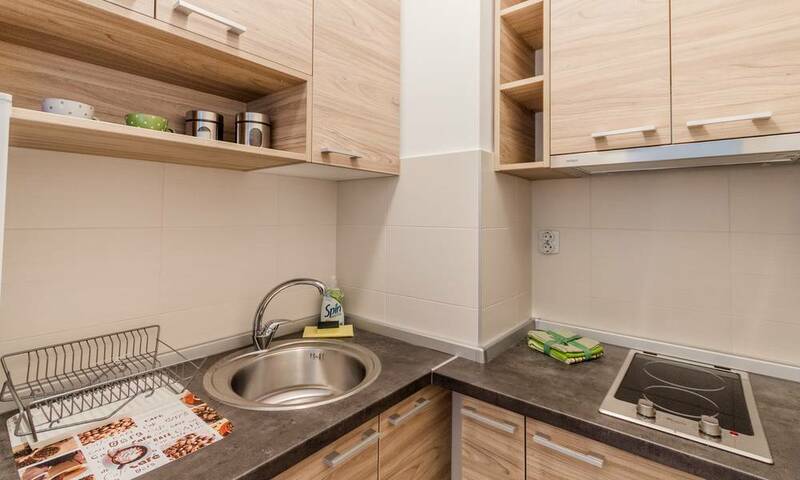 Everything you can see in the apartment is brand new, purchased in September 2014. 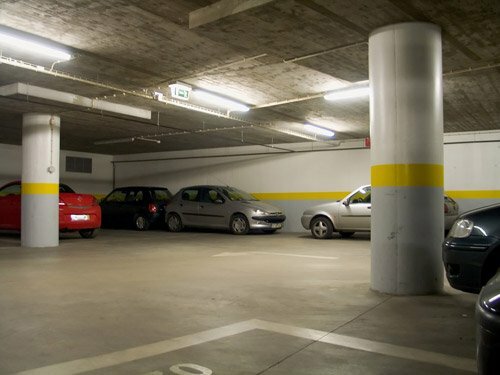 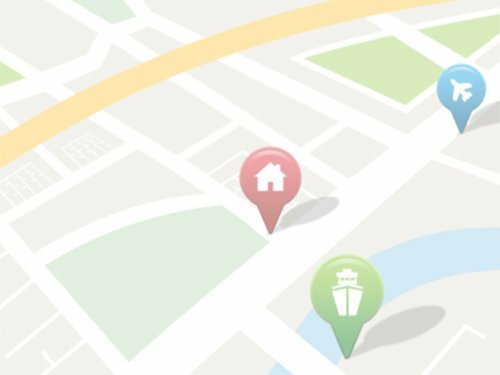 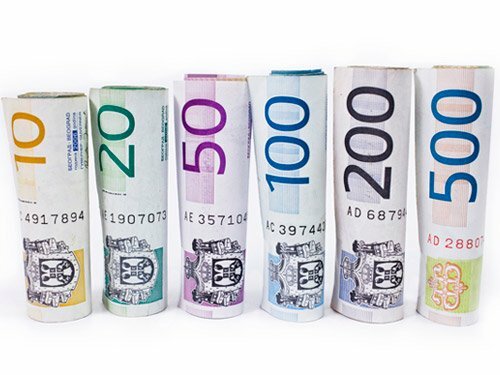 If you arrive by car you have two options: parking in front of the building / in the garage of Delta City that is free, or in a garage in the building charged 5e per day. 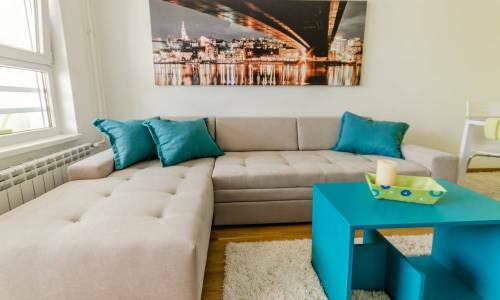 Among numerous apartments located in Belville (about 50 apartments), Urban is certainly one of the most beautiful.